Posted April 12th, 2019 by Ange & filed under Uncategorized. Never been to Funny Girls or not been recently? Then why not give it a try? Allan and I had the pleasure of attending the Funny Girls new season preview last night. It was a great night, as always, with superb lighting, sound system, fabulous costumes and inspired choreography. Of course, it’s not just about the glamorous ladies on stage, there is also the wonderful DJ Zoe getting the party going in her own inimitable style. 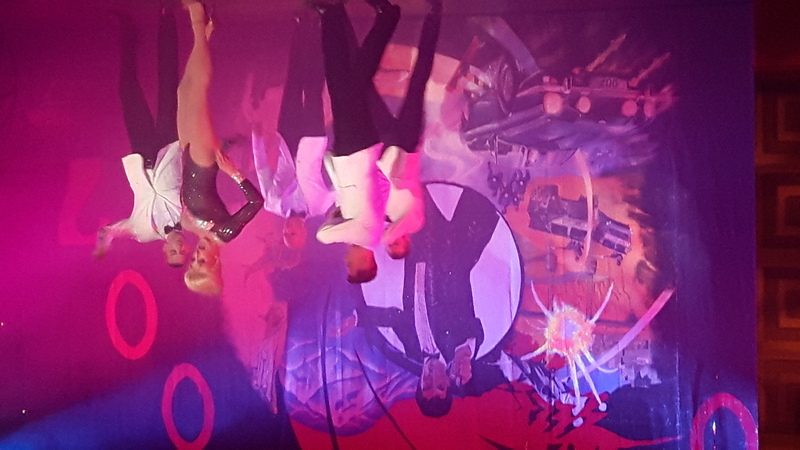 The show began with several numbers from Cabaret followed by sets based around Bond films, the Sally Army and Shirley Bassey, all ably led by Funny Girls’ star, Betty Legs Diamond. Amusing, a little bit naughty but always professional and well performed. This is Funny Girls 25th Anniversary year. Let’s all go along and help them to celebrate!